Reverb is one of those tools that is absolutely essential for music producers of every kind, whether it’s to add a subtle sense of space or slather on layers of shoegaze-esque haze, producers are regularly reaching for their reverb plugins. But what is reverb? If you’ve ever been inside a huge, open building like a cathedral, then you’ll have noticed that it literally sounds big – you make a sound and the soundwaves reverberate off the surfaces to create this sense of space. Of course reverb doesn’t only occur large spaces, if you take your towels out of your bathroom, you’ll notice that it becomes a lot more reverby because there’s no longer any damping in the room. Unlike some of the more ‘out there’ audio effects, reverb is all around us, even if we don’t notice it. This is why reverb is so important when mixing, because everything in the real world has reverb on it to some degree and sounds without any reverb at all sound very ‘dry’ and unnatural. Size/Decay – determines the size of the space your sound is in, higher values mean that the reverb signal will take longer to decay. Mix – like most effects, the majority of reverb effect plugins will have a mix control, allowing you to blend in the volume of the reverb signal. Pre-delay – Not all reverbs have this, but the pre-delay determines how long before you actually hear the reverb signal following the source sound. More complex reverbs may also have extra features such as built in EQs or filters to further shape the sound of the reverb signal. However there’s more to a reverb than simply its size. There are several different types of reverb, both naturally occurring and man-made, each having its own distinctive characteristics. Many reverb plugins will contain emulations of all of these different reverb types so it’s important to know what kind of reverb to reach for when you’re wanting some reverb. One of the most commonly used reverb types, hall reverbs are designed to represent the long reverb tails of concert halls and theatres. Because of their huge size, they’re often used to add depth and help fill out your mix, but hall reverbs should be used with caution as it can be easy to overdo it and muddy up your mix. A room reverb does what it says on the tin, it sounds like the kind of reverb you get in a room. You may not alway notice it, but every room has reverb. A room reverb is a lot smaller than a hall reverb and can help to give your music a live yet intimate feeling. Way back in the days before digital reverb, not all studio owners had access to huge halls to create natural reverb effects. This meant finding a cheap and more convenient methods of creating the effect and the result was plate reverb. By essentially hanging a sheet of metal under tension in a box, the vibrations of the metal sheet creates reverb like effects which is picked up by contact mics on the reverb plate. Plate reverbs tend to sound quite smooth and ‘shiny’ with the higher frequencies being more prominent at the start of the reverb tail. Ever moved a guitar amp when it’s turned on and heard a weird warbling reverb sound? That’s the sound of the springs in the amp’s reverb tank moving. Like plate reverb, spring reverb is another man-made method of creating reverb which is most commonly found in guitar amps. Spring reverbs tend to be quite lo-fi sounding, so they aren’t as widely used as the other types, but the distinct tonal character may occasionally be just what you need. Digital reverbs fall into two categories: Convolutional and Algorithmic. Convolutional reverbs make use of impulse responses recorded in real acoustic spaces. This means that you can have the reverb from actual concert halls, theatres and other spaces around the world. The advantage of convolutional reverbs is that they sound more realistic than algorithmic reverbs as they impulse response from actual acoustic spaces. The downside though is that they’re much more CPU intensive so your device may struggle with loading multiple instances of the plugin. Also, because the the impulse responses are essentially static recordings of the space, convolution reverbs aren’t quite as versatile as algorithmic reverbs and it can be harder to sculpt the reverb to fit your track. This is the more common kind of digital reverb and instead of using recordings of real, physical spaces, an algorithmic reverb generates a reverb sound depending on your plugin settings. As algorithmic reverbs are trying to simulate the sound of an acoustic space, they sound less realistic than convolutional alternatives although they have the advantage of being less CPU intensive. While reverb can be used to add a sense of size to your instruments, there are also a couple of more creative ways of using reverb to conjure sound that would be impossible in the real world. Ever wondered why drums in 80s songs sound quite so 80s? It’s probably down to the gated reverb effect which became massively popular at the time. 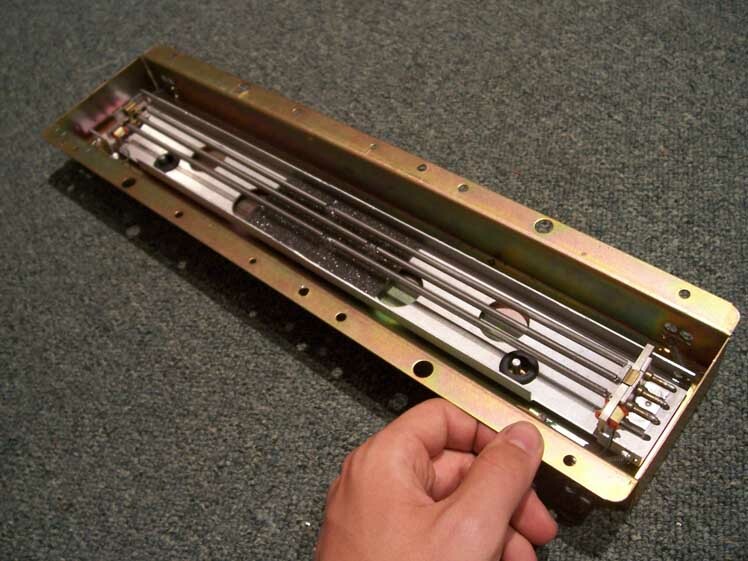 By using a noise gate after a large reverb, once the reverb tail decays past a certain volume, the noise gate pulls down the volume of the reverb to nothing which stops the reverb tail. This means that your drums can be thickened out by huge reverbs without huge reverb tails cluttering up your mix. So that’s the basics of how reverb works. If you’re an iOS musician wanting to add some ambience to your tracks, then check out our FS FreezeVerb AUv3 app for iOS.